Explore our opportunities and become a valued member of our team. You’ll have access to the latest medical and information technologies. You’ll also grow personally and professionally, and advance your skills and experience while making a positive impact on patients. In 2018, we achieved our highest-ever patient satisfaction results in ambulatory, inpatient and emergency department settings. Now we’re raising the bar even higher. *U.S.News & World Report’s 2016-2017 and 2017-2018 “Best Hospitals” guides. It’s the largest UVA expansion project to date: a 425,000-square-foot, $450-plus million investment that will provide a brand-new and expanded emergency department/level 1 trauma center, along with new operating rooms, and procedural and recovery space. 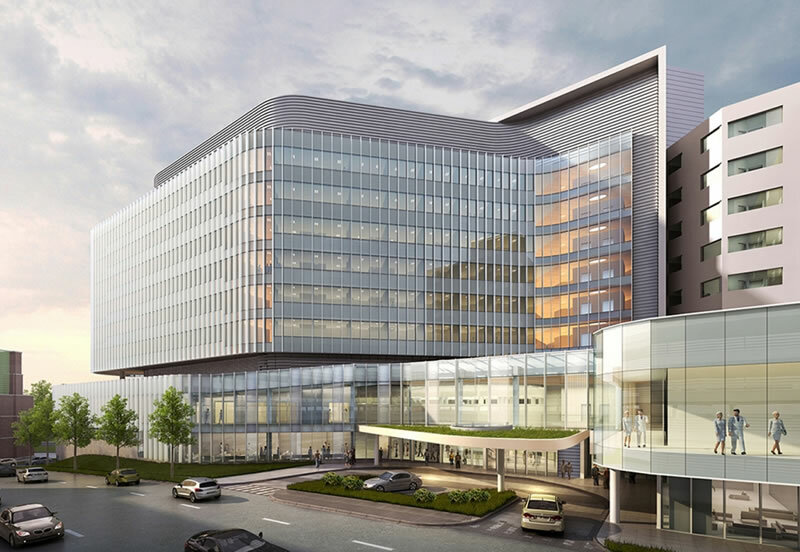 In addition, a new six-story tower will convert most semiprivate rooms into private rooms and allow us to expand critical service lines, like oncology and transplant. If you’re a dedicated and compassionate healthcare professional, we invite you to get in on the ground floor of an exciting new chapter in UVA history and join our award-winning team. The only thing missing is you. We are expanding UVA Medical Center’s Emergency Department from 43 to 76 beds, and we are tripling our square footage. The new ED will offer the latest technology to shorten wait times, as well as expand adult and pediatric trauma, behavioral health and other services. On the second floor, we will greatly enlarge the Medical Center’s interventional capacity with four new operating rooms, three new procedure rooms and expanded prep, recovery and support spaces with advanced intraoperative technology. In addition, a new six-story tower will create more private rooms to alleviate capacity restraints, reduce patients’ length of stay, improve patient satisfaction, increase inpatient capacity for growing service lines and improve the physical work environment for our team members. Our expansion offers tremendous career opportunities. So, join us and enjoy a new job that can advance your career in any direction.